Wendi Zwaduk - Romance to make your heart race: BlogFest! Don't forget to stop and trip the blogs! Next on the tour? Jan von Harz's Eating YA Books Blog! Be sure to become a follower, comment, and leave your email addy here in order to win a copy of My Immortal or another book from my back list! Thanks for the giveaway!! I am a new GFC follower! Thank you! I'm a new follower! Thanks. I going to see where I can subscribe by email and google friend. Thanks for the giveaway. i'm a new follower! Thanks for the giveaway! I am a new GFC follower!! Does it matter that I live in Greece? Thanks for the giveaway, and for participating in BlogFest 2010! Thanks for the giveaway - new follower! Thanks so much! I'm a new follower. I'm your newest follower! xashxnightx@gmail.com. 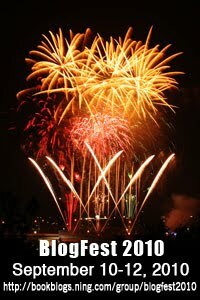 viva la blogfest! i am a new follower! Hi Wendi would love to win Immortal or one of your other books - great giveaway! Hi, I'm a new follower. Thanks for the great giveaway! Thanks for the fabulous giveaway. I follow on GFC. I am a new twitter follower @KappaVelvit!